This Lemurian Auralite is from the Diamond Willow Mine, Thunder Bay, Ontario, Canada. This location has also been called the Cave of Wonders since the discovery of this rare material. The seller I sourced these from told me that, these wonderful Lemurian auralites have communicated to her that they are 'the ancient ones' (in the Lemurian seed crystal hierarchy). 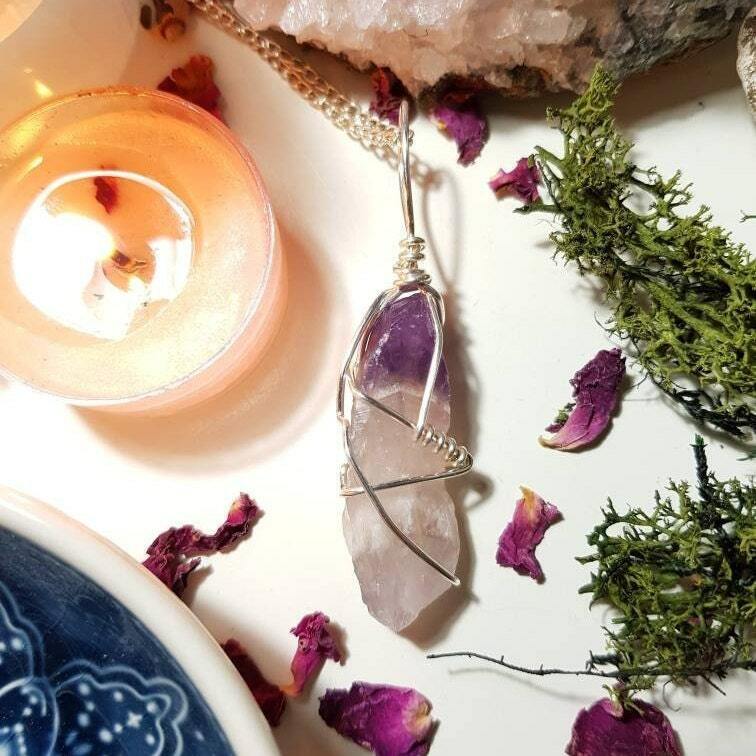 This vibrational message is very much in harmony with what we know about the estimated age of these special crystals (1.2-1.5 billion years old). Wire, chain and findings are silver plated. Necklace measures approx. 50cm and pendant measures approx. 7.7cm x 2cm. 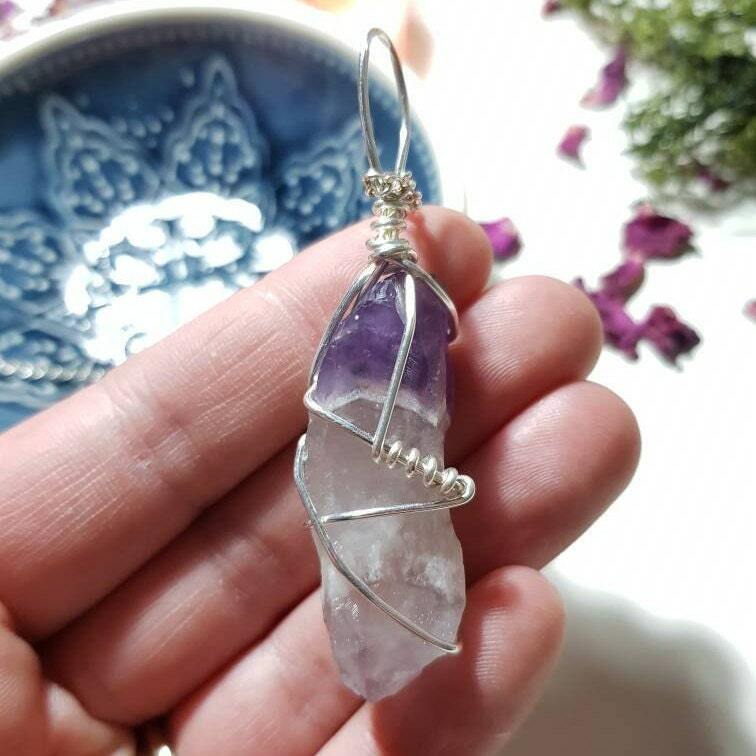 Auralite 23 is so called because it can contain as many as 23 different minerals. 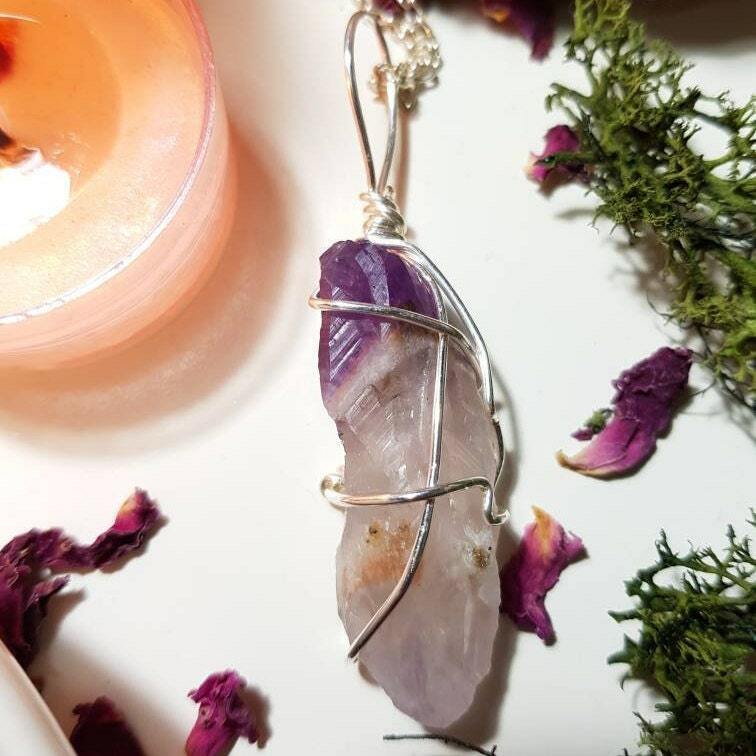 The crystals are structured layers of phantom chevrons composed of, Amethyst, Citrine and a rare form of metamicted green quartz. The minerals Auralite-23 contain reportedly include Titanite, Cacoxenite, Lepidocrosite, Ajoite, Hematite, Magnetite, Pyrite, Goethite, Pyrolusite, Gold, Silver, Platinum, Nickel, Copper, Iron, Limonite, Sphalerite, Covellite, Chalcopyrite, Gialite, Epidote, Bornite and Rutile. 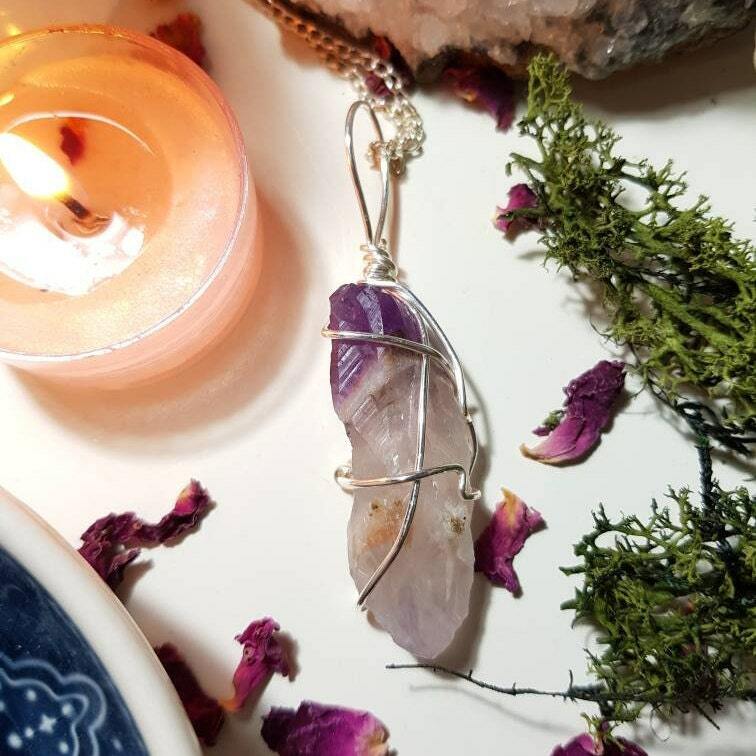 Auralite is a high energy crystal that protects, heals and can help you get in contact with your spirit guides. Measures approx. 6.9cm x 2cm.